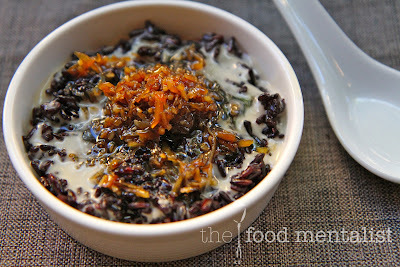 Black sticky rice is one of my all time favourites so when I came across this recipe online, I just had to make it. It's super easy and tastes amazing. 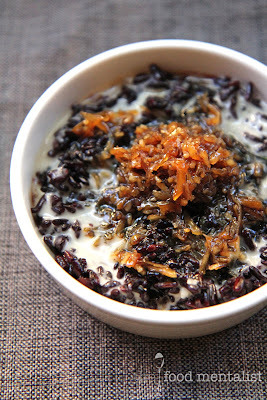 Black glutinous rice is an Asian rice which turns sticky when cooked. Despite it's name it doesn't actually contain any gluten. It has a wonderful nutty texture and pairs really well with coconut, sweet syrupy sauces and caramel flavours. 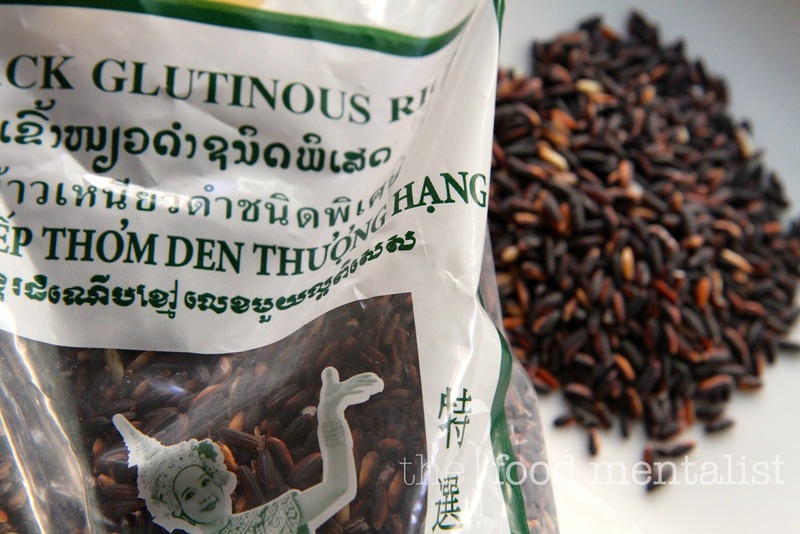 You can purchase black sticky rice in most Asian grocers and some supermarkets also carry it. Wash the black sticky rice. If you have a rice cooker, cook as you would normal rice. I did this and it turned out perfectly. If not, combine in a saucepan with water and place over medium heat to boil until the rice is cooked through. 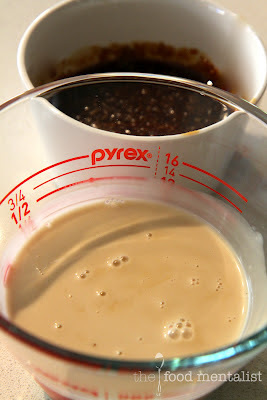 Add the sugar and continue to boil until the sugar dissolves. For the Coconut Cream: Combine the coconut cream, rice flour ( optional), salt and sugar in a pan and cook over low heat until boiling. Set aside. 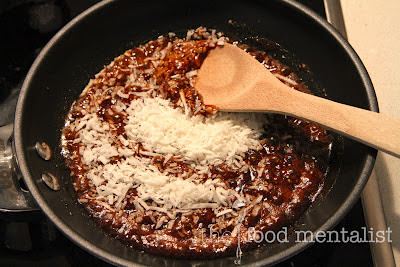 For the Caramelised Coconut: Combine the grated coconut and sugar in a saucepan, stirring over a medium heat until syrupy. Remove from heat. Serve by spooning the black sticky rice into individual bowls and top with caramelised coconut and a drizzle of the sweet coconut cream. Were you up early to watch the opening ceremony of the Olympic Games? What did you think? oh MAN this looks amazing. my Mum used to make black sticky rice all the time but hasn't in years.. oh memories. need to make some of this asap... going straight to pinterest!